BSNL Kerala Telecom circle has announced Mela Special Offer of FREE Prepaid SIM cards (Normal/Micro/Nano) to New & MNP (PORT IN) customers till 30th September 2017. FREE SIM Offer will be available in all BSNL Customer Service Centres and BSNL Retailer outlets throughout Kerala. 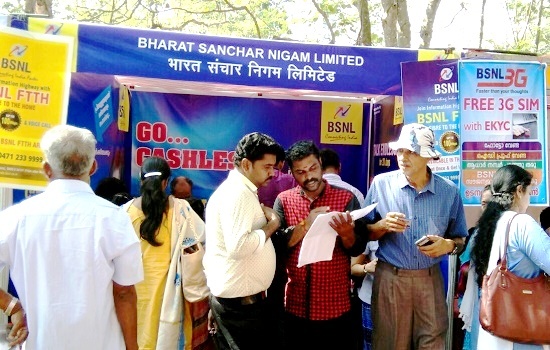 During this period, customers may get New BSNL Prepaid SIM cards absolutely FREE. The offer is also applicable to MNP (PORT IN) customers. Recently launched Onam Plan, Unlimited Voice & Data Offer - 333, 339, 349 & 395 is getting very popular among youth since it is better than Jio's prime membership plans.